Switzerland is a lot more than just a neutral country known for its chocolate production and cuckoo clocks. Firstly, the alpine landscape is truly spectacular. The peaks pointed and snow-capped, the alpine meadows, where you might see a cow wearing a cowbell, as green as any muesli advert and it's all reflected in still, clear glacial lakes... Then there are the clean, lively cities known for their high standards of living. Switzerland is glamorous too, full of financial institutions, multi-linguists, and wonderful fusion cuisine drawn from influences all around Europe. Many of the best places to stay in Switzerland will be sure to impress anyone who visits! Zürich today is much more than a sleek, cosmopolitan financial capital that enjoys the finer things. The lakeside position is beautiful with plenty of ways to enjoy the water in the summer and is a gateway to the Alps in winter. With a large expat and student population it is also arty, vibrant and possibly even 'happening'. Geneva is a wealthy cosmopolitan city full of pretty spots, good restaurants and interesting museums. The views over the lake, the Alps and the Jura are a truly spectacular backdrop to any activity. So it deserves more than just a stop off on the way to the high peaks. The old town is where the Roman's settled, now at the highest part of the city and totally Heritage Listed. This area is full of small bars, cafes and boutiques lining winding, cobbled streets. If you're looking for peace in an almost divine setting then visit Lake Geneva, the glittering beauty on the border of Switzerland and France. Surrounded by mountains, rows of neat vineyards, pretty chateaux and charming little resort towns. On a clear day you can see the wonderful views of the Alps reflected in the water. Largely French speaking, the Lake Geneva region has a real European flavour. Many visitors to Switzerland are here for the winter sports, but just because you know why you're travelling, it doesn't necessarily make the choice of where to stay any easier! Switzerland's chocolate box alpine villages, welcoming traditional chalets and modern resort towns are all tempting. At the foot of the dramatically pointed Matterhorn you'll find the village of Zermatt, with year-round glacial skiing (the highest skiing in the Alps) and guaranteed snow. 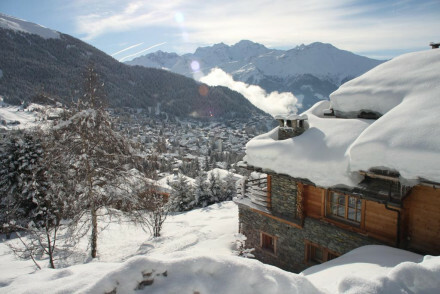 Verbier is further south, connected to one of the best and most extensive ski resorts in the Alps, with more than 400kms of pistes and runs for all abilities. Wengen is another high altitude resort, on a plateau below both the Eiger, Mönch and Jungfrau it is one of the most charming, and traditional, ski resorts in Switzerland. Saas Fee was inaccessible until the 1950s, the beautiful amphitheatre of thirteen peaks and nine glaciers which surround the tiny resort kept out all but locals and their mules - it's still quieter, but the extended ski season, and the views, mean it's worth the effort. Take the cable cars up to the top of Zermatt's The Matterhorn and marvel at the stunning panoramic views. A wondrous experience - be sure to remember your camera! Head around the medieval Chateau de Chillon with a guide, situated on the shores of Lake Geneva, to learn all about its rich history. A stunning spot. Hop on the Bernina Express railway for the best way to see the Swiss Alps in all their beauty! Wander around picturesque Lucerne's old town for a true taste of old Europe, with its cobbled streets and lovely architecture (including the Chapel Bridge). If you're into this sort of thing then you'll also love Bern's old town, a UNESCO World Heritage Site. The best places to stay in Switzerland will vary according to the reason for your visit, but we think that we've covered most angles from chic city pads, to stunning alpine retreats. Use our guide and start to plan your trip! Right on the river, in the centre of old town Zürich, the Storchen has been a hotel for 650 years. The public rooms have plenty of charm and while the bedrooms are a bit dated, they are spacious and comfortable. Also in a quiet corner of Zürich's old town, the Florhof Hotel is a converted merchant's house around a sunny courtyard. As well as being cosy it's also close to the museums, theatres and shopping district. The Hôtel de la Cigogne is the only Relais et Châteaux member in Geneva. A superbly appointed charmer featuring beautiful traditional decor with a few clever modern twists. Vibrant and funky, Zürich's 25 Hours Hotel is also great value. This colourful spot is located in the financial district - slightly out of the centre of town. It has a fleet of free bikes and Minis to take you to the main sights. Classy city slickers who want to see Zurich in all its glory will love staying at Le Richemond. Boasting spacious and stylish accommodation with excellent views, there is a spoiling spa and you can tuck into meals on the lake facing terrace. A regal 10th Century palace, the Baur au Lac's guestbook is an impressive read - Alfred Nobel, heads of state and royalty have all visited. Superb opulence and service for the most discerning of visitor to Zurich as well as a Michelin-starred restaurant. The Dolder Grand is fabulously luxurious, a fairytale palace of a hotel overlooking Zürich, the lake and the Alps. The spa is vast and its tradition for hospitality is impeccable. Converted from a row of eight medieval townhouses, Zürich's Widder Hotel is five stars worth of ultra modern cool. The food, service and music are all excellent. Also in Zurich, the Alden Luxury Suite Hotel is a five star collection of rooms and suites in a beautiful building close to the lake and the old town. Elegant and grand on the outside, the interior is all contemporary luxury. The Hôtel Longemalle is a Belle Epoque beauty glowing with elegance. In the heart of old Geneva, this hotel is full of one-offs and the service is personalised too. Chateau Gutsch is a dreamy spot, set in a renovated 19th century castle which effortlessly blends architecture with chic, modern decor furnished in a traditional style. The rooms feature four posters and bold, colourful fabrics, whilst the terraces also boast fabulous views. The B2 Boutique Hotel and Spa in Zürich occupies a former brewery and the conversion is exceptional, giving the building a spectacular rooftop swimming pool and a wonderful wellness centre. There's also a library lounge featuring around 33,000 titles which you are free to borrow. 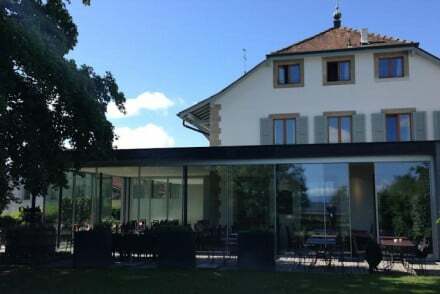 The Auberge de Confignon is in a village just outside Geneva only 20minutes by bus from the city centre. People who stay here come for the peace and the food, both of which are simple and wholesome. Hotel Bristol, Adelboden is the perfect spot for those seeking rural tranquillity. Located in the heart of the Bernese Oberland, you can unwind in their "Aqua Live" wellness centre with its sauna, steam bath and outdoor jacuzzis. 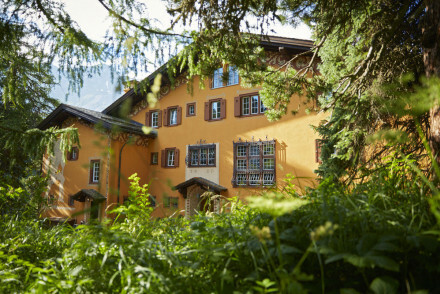 The Cambrian, also in Adelboden, boasts one of the Switzerland's top 20 wellness centres! Plus both indoor and outdoor pools, whilst the rooms boast splendid Alpine views. Chesa Stuva Colani is luxurious with traditional, incredibly atmospheric accommodation - think wood panelling and cosy fireplaces. There is also a lovely spa and a fine-dining restaurant to boot. 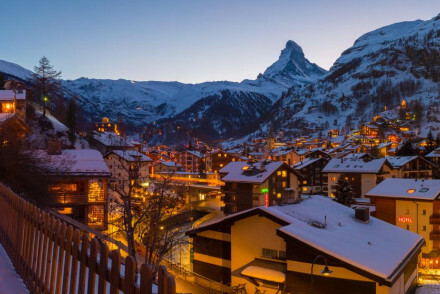 Zermatt's Riffelalp is Europe’s highest 5-star resort. Far away from the main town you’re unlikely to worry about too many of your worldly cares. The opulence at such altitude should also help to distract you. The Hotel Bellevue des Alpes is an historic grand dame of the Swiss Alps with unbeatable views of the Eiger, Mönch and Jungfrau. 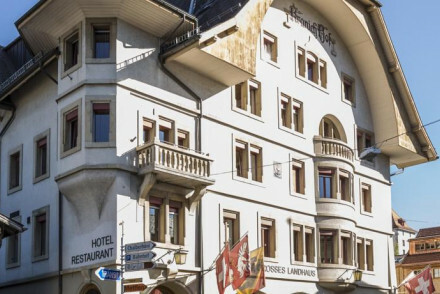 Traditional, yet still very family friendly, this hotel has been owned and run by the same family since the 19th Century - it's the perfect match to Wengen as a resort. Hotel Fluhalp in Zermatt is quite a unique option. Perched at 2620m up, it is the ideal place for those who need that first run down to wake them up. Why not even have a quick whizz in your pyjamas before breakfast if you’re really struggling? Also suitable for summer walking excursions with wonderful views on offer. Saas Fee can be quite expensive, but it doesn't have to be. The excellent Hotel Schweizerhof, for example, offers a half board option which includes a six-course dinner! This is a comfortable, family-run hotel in the centre of town, with a balcony for all - the view is always going to be a highlight, however nice the contemporary decor and spa facilities. Perfectly located in Geneva's old town, the Hôtel Bel’Espérance has beautiful lake and cathedral views. Studios and family suites make it welcoming for families, but the prices, which start from just £70 per night, make it welcoming for anyone looking for a comfortable home from home close to the lake. Les Armures is a family run hotel and restaurant very well known for Swiss specialities - raclettes and fondus galore here! The hotel is homely, with oak beams and stone floors, whilst boasting a warm and welcoming atmosphere in the heart of Geneva's old town. Built in 1855, Hotel Monte Rosa is certainly not short on history. The headquarters of Whymper’s expedition, which first conquered the Matterhorn, the Monte Rosa now merges traditional Alpine interiors with undeniable comfort. Chic to the extreme, Hotel Alex seems to be the perfect place to mount summer assaults on the Alps. With an indoor pool and sociable bar amongst many other comforts to welcome you back, the Alex presents a slightly different experience to most of Zermatt. Bellevue Palace is a truly resplendent base from which to get to know Bern. This luxury 5* boasts chic, spacious rooms with marble bathrooms and is ideally situated to see all that the city has to offer. Plus, you'll love the cuisine seved up at the restaurant! There's never really a bad time to visit Switzerland as it depends entirely on what you're there to do! January and February are best for skiing, June to August is perfect for hiking or sightseeing, September and October are great for similar reasons but the place will be less crowded with tourists and a tad cheaper, whilst December's a great time to enjoy the festive atmosphere (with plenty of Christmas markets to visit). Switzerland has three major international airports: Zurich, Geneva and Basel. There are also smaller airports in Berne and Lugano. These are all serve by a variety of international destinations. You can also arrive by train from elsewhere in Europe - a wonderful way to see the country's natural beauty! Browse though our list of all the best places to stay in Switzerland. Widen the net to look through our recommendations for the best places to stay in neighbouring Austria or Germany. 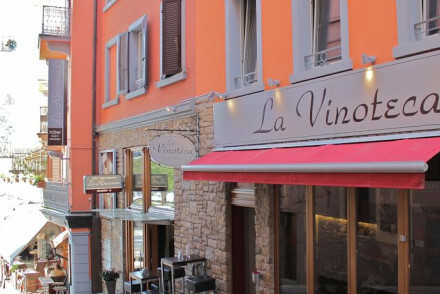 A gastronomic auberge tucked away in a village just outside Geneva. The locally renowned restaurant and its secluded setting are its main attractions, not to mention the wonderful mountain views from the terrace. Tranquility and local gourmet treats with easy access to Geneva. Restaurant - The hotel bistro and restaurant are locally-renowned and serve traditional dishes, using fresh local products. Sights nearby - Conveniently close to Geneva and the Selève mountain. Secluded setting - Located in a small village on the outskirts of Geneva. 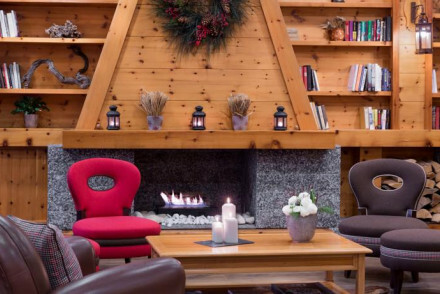 Charming, rustic, chalet style hotel, close to Sunnegga lift and easy access to the heart of Zermatt. Comfortable and great value without all the bells and whistles. 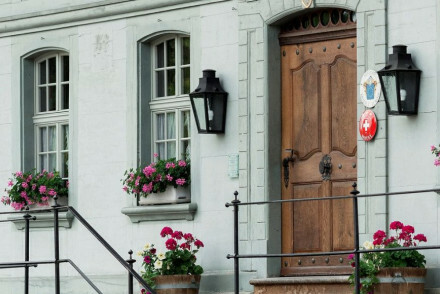 A quintessentially Swiss hotel and restaurant with authentic mountain chalet décor. Wood-lined rooms with cosy furnishings and fireplaces. The restaurant offers traditional cuisine and live folk music. A great place for families with children. 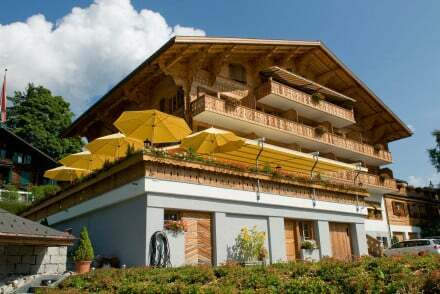 Families - A charming chalet with family rooms, babysitting and cose proximity to both the lake and the city centre. Great walks - Great walks around the stunning lake, followed by Fondue and Raclette by the fire! Sights nearby - Just a few steps from the city centre, within easy access of all the sights. Full of character - Swiss chalet setting, with traditional décor. 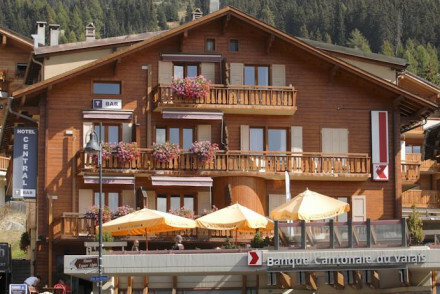 A charming family-run hotel boasting an excellent location close to the ski lift. The traditionally styled rooms feature hand-carved furniture from the Engadine Valley and homely pine details. The locally renowned restaurant serves exquisite regional dishes, and barbecued specialities. Foodies - The restaurant truly showcases the best of local cuisine, as well as Italian dishes and a range of bbq items. Country Escape - The hotel is a cosy and welcoming spot to return to after an active day on the slopes, lake or in the woods. Great walks - For those who find mountain treks daunting, take a relaxed stroll around the lake or through the woods. Fishing - Try your hand at fishing on the lake, a great activity for all ages. 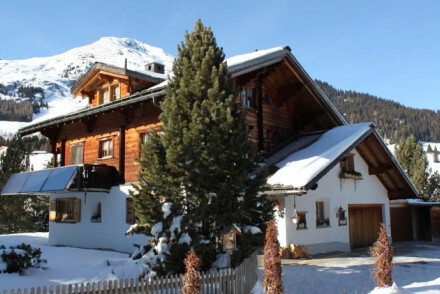 A charming chalet, in a picturesque spot just outside St Moritz. Traditionally styled rooms complete with pine clading, private balconies and large sash windows. Elegant reception rooms and cosy fire-lit lounges, ideal for relaxing with an evening drink. Simply fabulous. Families - A family-friendly hotel complete with playground, baby-sitting facilities and acres of space to run-around in. Country Escape - A chic country retreat with a plethora of outdoor alpine activities in the surrounding area. Pleasing hotel in the ski resort town of Saanen. There is a visible alpine feel to the place with cosy, pine walled rooms and mountain views. 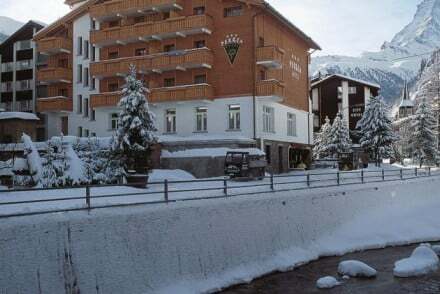 Perfect for a family skiing holiday with a ski school attached to the hotel for first timers. Also expertly equipped for seminar and business weekends. Active Holiday - The ideal location for skiing, mountaineering, mountain biking and hiking. Lovely ski-hotel in central Schoenried. Guestrooms have Alpine style wooden furniture and wooden beamed ceilings. Great restaurant with regional produce. Ski-to-door facilities and big terraces for a drink after enjoying the variety of outdoor fun nearby. Traditional chalet with dashes of modern interior. Three simple bedrooms with beamed ceilings and mountain views join a large lounge. Walking distance restaurants or a lovely dining area to cook after a day on the slopes, make for a wonderful stay for a family. Excellent value and ski bus close by. Chic and compact, a gem of a hotel. Just nine light and airy modern bedrooms with all the high-techery. Some of the bedrooms feature large jacuzzi spa bath tubs. Extremely friendly and intimate chalet. Tbar plays host to some of the best apres ski. A small hotel that has it all. Groups - Situated in the heart of Verbier and within easy distance to all the winter and summer activities. A quaint converted farmhouse located just outside of Davos. Charming traditional rooms have pine clad walls, local furniture and tartan fabrics. The family-run restaurant serves regional dishes popular with locals. Easy access to both the slopes and Davos' attractions makes this a great option. Active Holiday - Davos is the ultimate activities destination from sporting pursuits to cultural visits - there's something for everyone. Skiing - Famed for its skiing Davos has easy access to Klosters, Parsenn and Gotschna resorts. Great walks - Take an amble around the Alpine Botanical Gardens. 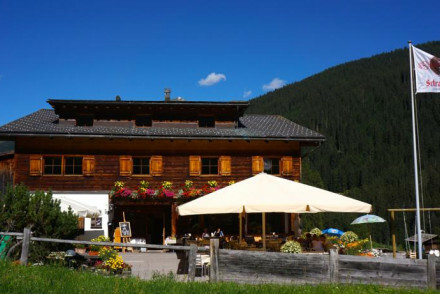 This B&B is situated in the town of Davos, less than half a mile from the ski lift and with a bus stop just a short walk away. Its two simple rooms are decorated alpine style with light wooden furniture and offer balconies with great views of the surrounding mountains. Superb value for money. Less £ - If you're looking to ski on the cheap, this is ideal! This luxurious, late Baroque guesthouse sits in the idyllic Swiss Emmental region. Set across three historic buildings, the most impressive suites boast a contemporary fireplace, whirlpool and sauna. The hotel also has a stylish garden and spa. A romantic destination designed for total relaxation.